This one comes to us from our friend Lindsey Hepler. 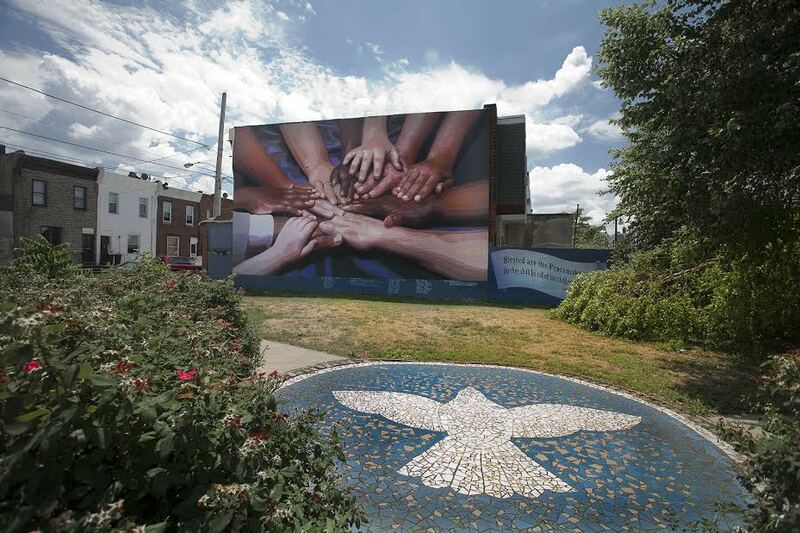 At a conference in Philadelphia two weeks ago, I heard Jane Golden, the Founder and Executive Director of the Mural Arts Program in Philadelphia, speak about her work in the city for the past three decades. 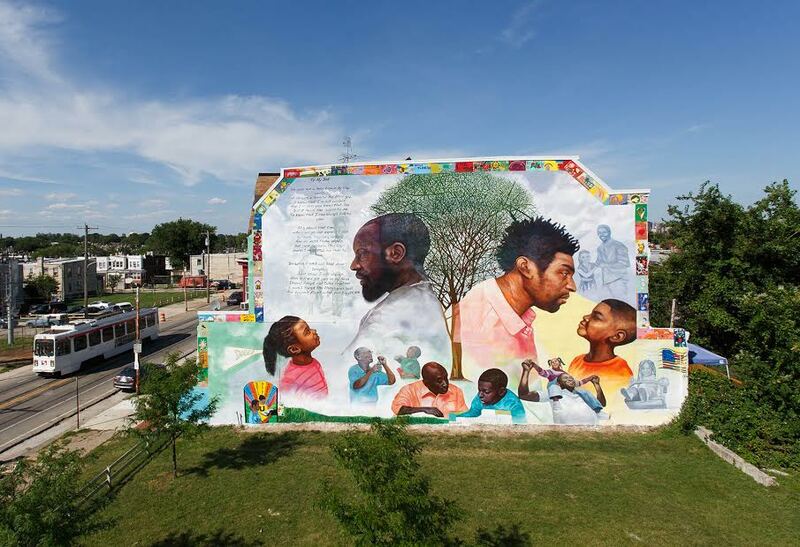 Established in 1984 as a city-funded anti-graffiti project under the leadership of Philadelphia’s first black mayor, the organization is now the largest public art program in the U.S, with a collection of over 4,000 murals. Their programs address many of the city’s “intractable problems” through civic engagement, art education, restorative justice, and mental health services. And they are making a difference. The Guild program, which employs formerly incarcerated individuals as apprentices, has a 9% recidivism rate (nation-wide, that number is closer to 75%). A Yale School of Medicine study of PorchLight, the mental health program, found increases in neighborhood collective efficacy and aesthetic quality and decreases in mental health stigma, as well as positive results for individuals. Jane Golden herself is a force of nature to be reckoned with. Her story had me both laughing and crying; I challenge anyone to listen to her speak for 5 minutes and not be instantly captivated. Jane has often been told her ideas are crazy, her vision impossible, yet she seemingly never accepts “no” for an answer, persevering despite challenging circumstances. She believes that in the face of intractable problems, where traditional methods have failed (over and over and over again), the arts and creativity can and do make a powerful difference in the lives of real human beings. But when I heard Jane speak, I did not hear the law. Her enviable charisma and her organization’s impressive results did not leave me feeling like a failure—despite the fact I certainly have not accomplished as much in my 30 years of life as she had in her first 30. Rather, when I heard her speak, I heard the gospel. Her humility, humor, spontaneity, and love stood out to me far more than any statistical measure of success. As she stood before me on Friday evening, she was alive with the power of the Holy Spirit. The success of the Mural Arts Program seems to be pure, grace-given fruit of the gospel. Now, I know there will be some skeptics out there. As someone who has spent the past 10 years immersed in the world of arts education, I know that claims such as those made by the Mural Arts Program are often met with skepticism. In graduate school, I spent two years diving deep into a desire to understand how programs like Philadelphia’s Mural Arts do what they do. I wanted to know just what it was about the arts that makes them so powerful. I believed then—and still believe today— that the arts are powerful, uniquely so. I have seen it in others, and I have felt it for myself. There is something special about the arts, something that connects us to our true identity as beloved creations of a creative God, image-bearers endowed with our own creative gifts (Ephesians 2:10). At their best, the arts can ignite change; they can catalyze transformation; they can serve as a vehicle for God’s grace to become manifest in the world. “Peace Wall”: Peace Wall by Jane Golden and Peter Pagast. Photo by Jack Ramsdale. But I don’t have to tell you that this experience of the arts is the exception rather than the rule. Too many people have had bad experiences with art— the elementary teacher who told them they were “bad” at art; the orchestra whose work seems outdated, unimportant, and completely irrelevant in the modern world; the modern art museum that seemed pompous, self-righteous, like you had to be part of some secret club to understand what was going on. One of the coolest parts of Jane Golden’s story, and most relevant, theologically speaking, is its early history (~1:30 – 11:45 in the video above). When Wilson Goode, then mayor of Philadelphia, established “The Anti-Graffiti Network”, and when he hired Jane Golden to work “with the kids who were writing on walls,” imputation was at work. Jane felt empowered, hearing the mayor’s charge to “re-channel the negative energy into something positive” not as law, but as a grace-filled (and funded!) invitation. After seeing graffiti murals in transit tunnels, Jane connected with the young graffiti writers not as “criminals,” but as artists. She offered them a lifeline, a way they could be paid money to paint murals legally. She met them in what they were already doing, in who they already were, and said, “Yes! You are an artist.” She saw what they did not as vandalism, but as a thing of beauty. The organization continues to work through imputation. Whether they are working with children, communities, trauma victims, or formerly incarcerated individuals, all are granted equal status as artists. All are given the means to make a positive contribution to their city, and they are fairly compensated for doing so. I have read many educational theories, developmental perspectives, and utopian philosophies that preach the benefits of the arts; I have worked with real world organizations seeking to put these ideas into action through their programs. Too often, I have been struck by the disconnect, the real and profound barriers that stand between the transformational potential of the arts and actual social change. 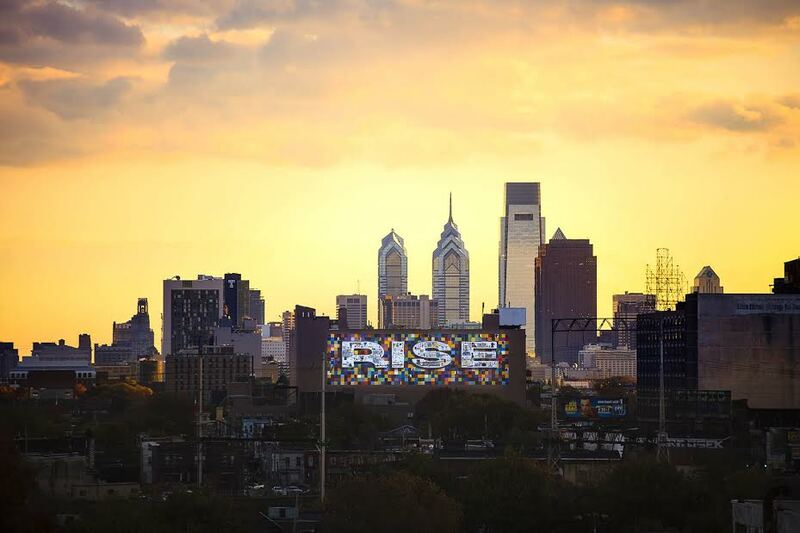 “Rise”: The North Philadelphia Beacon Project © 2013 City of Philadelphia Mural Arts Program / James Burns. Photo by Steve Weinik. This was not art that was parachuted down from the sky. This was art that was created deliberately and intentionally in connection and collaboration with communities about their lives, their stories, their history. Those big, bold works of art in the city gave people meaning and hope.…Our work shines a light on diversity and it lifts up our commonality, and ultimately it connects us to all that makes us human. Now, I do not know if Jane Golden is a Christian, but regardless, Jane Golden knows who she is: she is an artist, an advocate for struggling human beings, like you and me; she is an image-bearer of God. Hope is believing in spite of the evidence, and then watching the evidence change. come into contact with an inanimate ‘other’ and fill it with life, receiving knowledge, meaning, and love in return. The knowledge is about art, about ourselves, about the creation, and finally about God. The meaning is our formation in faith that leads to action for good, and the love is the vulnerability we have to its power and the delight we experience (Robin Jensen, The Substance of Things Seen: Art, Faith, and the Christian Community, p.25). “Fathers and Children”: Fathers and Children Together by Ernel Martinez. Photo by Steve Weinik.